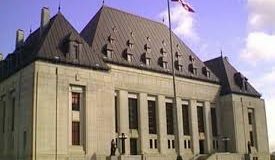 Home ⇾ Case Commentary ⇾ Vriend v Alberta Revisited: A Road to Constitutional or Judicial Supremacy? The Supreme Court of Canada has on numerous occasions insisted upon the primacy of the written text of the Constitution. In the Reference Re Secession of Quebec, the Supreme Court explained that the recognition of underlying constitutional principles “could not be taken as an invitation to dispense with the written text of the Constitution”. It noted that “[a] written constitution promotes legal certainty and predictability, and it provides a foundation and a touchstone for the exercise of constitutional judicial review.” The idea, at its core, is that the Constitution was adopted by elected representatives. Enforcing its terms is to respect the process undergone to adopt or modify it. This ensures the democratic will, as expressed through the Constitution, is enforced, while leaving those things that go unmentioned up for democratic debate. Despite the Supreme Court’s assertions, its decision in Vriend v Alberta stands as a shining example of its ability to completely move beyond the text of the Constitution. While the Supreme Court ultimately took an approach that respected the stated will of the framers of the Constitution Act, 1982 in its analysis of section 15(1), it failed to do so when looking for remedies to unconstitutional legislation. The text of the Constitution provides that unconstitutional laws or provisions are “of no force or effect”. Moreover, sections 91 and 92 of the Constitution Act, 1867 give the federal Parliament and the provincial legislatures the “exclusive” right to legislate. This is their role in the separation of powers. That said, in the second part of its judgment, by choosing to “read in” to the legislation words that were not there, the Supreme Court adopted a view of the judicial role at odds with the basic tenets of our written Constitution, and democratic principles more broadly. In Vriend, a laboratory coordinator who was fired for failing to comply with his employer’s policy on homosexual practice brought a complaint to the Alberta Human Rights Commission on the grounds that he was discriminated against because of his sexual orientation. The Commission advised him that he could not make such a claim because sexual orientation was not a protected ground under the Individual’s Rights Protection Act (the “IRPA”) of Alberta. 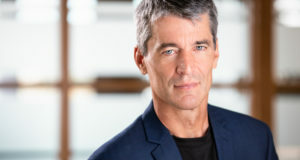 He challenged the constitutionality of the underinclusive legislation on the grounds that it was inconsistent with his equality rights under section 15(1) of the Canadian Charter of Rights and Freedoms (the “Charter”). It is suggested that this appeal represents a contest between the power of the democratically elected legislatures to pass the laws they see fit, and the power of the courts to disallow those laws, or to dictate that certain matters be included in those laws. To put the issue in this way is misleading and erroneous. Quite simply, it is not the courts which limit the legislatures. Rather, it is the Constitution, which must be interpreted by the courts, that limits the legislatures. Had constituent legislators wanted to avoid the expansion of equality rights to gay people or other analogous groups, they should have avoided the words “in particular” to qualify the list of protected grounds that follow. Here, legislators have to accept part of the burden. When the Supreme Court is faced with an unconstitutional provision or piece of legislation, it turns to section 52(1) of Constitution Act, 1982 for its remedies: “The Constitution of Canada is the supreme law of Canada, and any law that is inconsistent with the provisions of the Constitution is, to the extent of that inconsistency, of no force or effect.” This can be contrasted with section 24(1) of the Constitution Act, 1982 which provides courts with a broad array of possible remedies when the breach of an individual’s Charter rights is the result of state action rather than legislation itself: “Anyone whose rights or freedoms, as guaranteed by this Charter, have been infringed or denied may apply to a court of competent jurisdiction to obtain such remedy as the court considers appropriate and just in the circumstances.” If constituent legislators had wanted to draft a broader remedies provision for unconstitutional legislation, they could have. They did so for section 24. In essence, “the internal evidence derived from the Act”, to take a phrase from Lord Sankey in Edwards v Canada, demonstrates the narrow textual focus of section 52(1). Therefore, when presented with a piece of legislation or provisions that offend the Constitution, as was the case for the IRPA, the Court must strike them down. In this case, the Supreme Court opted for another remedy – that of reading into the IRPA a protected ground of discrimination. Essentially, it “writes” sexual orientation in the legislation to make it constitutional. It does so by following an earlier decision, Schachter v Canada (“Schachter”), where Chief Justice Lamer noted the remedies available to the courts in these circumstances “include striking down the legislation, severance of the offending sections, striking down or severance with a temporary suspension of the declaration of invalidity, reading down, and reading provisions into the legislation.” However, the drafters of the Constitution Act, 1982 never provided for reading into legislation to remedy an unconstitutional provision. Section 52 is by no means vague on this point. Reading in is justified, in the Supreme Court’s view, partly because in these situations the legislation itself is not technically inconsistent with the Charter. It is merely underinclusive. The Supreme Court goes on to explain that “…the nullification of benefits […] does not sit well with the overall purpose of s. 15 of the Charter and for s. 15 to have such a result clearly amounts to ‘equality with a vengeance’.” However, it is well established that s.15 does not impose positive obligations on the federal Parliament or provincial legislatures to provide any benefit (for example, protections against private discrimination). If legislatures do provide benefits, they must, however, do so by following their constitutional obligations. In that sense, a provision or piece of legislation that is underinclusive is inconsistent with the Charter, period. It must naturally have “no force or effect”. That a judicial conclusion may lead to an unfortunate result is not a sufficient reason for judges to distort the constitutional text, thus depriving the legislative branch of its proper role in the separation of powers. It is after all the federal Parliament and the provincial legislatures that possess the “exclusive” authority to legislate pursuant to the opening paragraphs of sections 91 and 92 of the Constitution Act, 1867. As Lord Denning explained in The Queen v The Secretary of State for Foreign and Commonwealth Affairs, the Constitution Act, 1867 (formerly the British North America Act 1867) “set out detailed provisions, in sections 91 and 92, distributing legislative powers between the Dominion Parliament and the provincial legislatures.” The division of legislative authority between the federal Parliament and the federated entities is therefore “complete”. 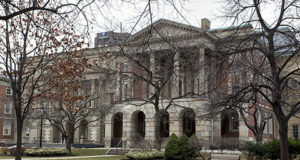 Justices Cory and Iacobucci, writing for the majority in Vriend, opted to read into the legislation because they believed the legislature would prefer to have a human rights law that included sexual orientation rather than no human rights law at all. How could they possibly know the intention of the legislature on this point? The only way to truly assess whether the legislature wanted human rights legislation that included sexual orientation would have been to throw the matter back into its hands. Legislative intent can only be demonstrated through legislative action. If we are to believe in the importance of the legislative process, the mere outward expression of an idea by one or more legislators is not sufficient to bind courts. 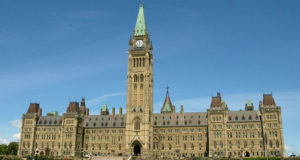 For example, Canadian politicians, over the years, have expressed interest in many projects during the Throne Speech that opens a legislative sitting. However, when the time came to put these initiatives forward, they refused to do so or did the opposite. If we are to adopt a view of the judicial role consistent with the Constitution and democratic principles, only the process and the subsequent vote of legislators allow us to ascertain the intention of elected representatives and the people they represent. Moreover, while it is true that the legislature could have adopted new legislation that included sexual orientation as a prohibited ground of discrimination, it could also have chosen to adopt the same legislation and invoke section 33, which allows legislation to operate “notwithstanding” the protections found in section 15(1) of the Charter. That position would surely be unpopular today and it is not my goal to suggest that gay people should not be protected by human rights legislation. In fact, such a provision would protect the author of this article as well. 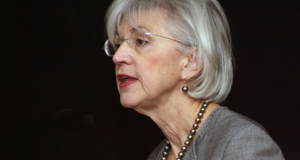 Instead, the position articulated by Justice Major in dissent attempts to demonstrate that sending the matter to the legislature would be in keeping with the notion that for legislation to have authority over individuals it must have undergone a process through a democratically elected legislature that is accountable to the people. In this case, the Supreme Court formulated its own principles instead of turning to those clearly articulated in section 52(1) of the Constitution Act, 1982. It goes without saying that judicial decision-making should not be results-oriented. They should have struck down the legislation. This is the case because the Supreme Court itself noted that “severance of these sections from the remainder of the Act would be akin to striking down the entire Act.” This would then have allowed the legislature to adopt a new piece of legislation that was consistent with the ruling or decide not to adopt any legislation at all – a right it had based on the negative conception of rights articulated in the Charter. Ultimately, this is the legislature’s decision to make once one of its provisions or pieces of legislation has been found unconstitutional. I am worried that within the legal community (judges, legal academics and lawyers), public law cases are increasingly being dealt with in a manner that appears non-doctrinal or that is non-doctrinal. […] This approach has knock-on effects. We are starting to see newspaper stories that present public law cases as political events – the product of individualized policy judgments and political views authored by judges who are, according to some journalists, expected to voice the views of the politicians who appointed them. In other words, more and more seem to be seeing judges as political servants and political actors. The more this continues, the more the legitimacy of judicial decision-making will be called into question. 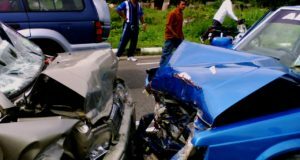 In the end result, we will be woefully unprepared for the searingly controversial cases that will no doubt arise down the road. This is the great challenge of judges in a public law context. When judging, they must reject their own values and principles in order to consistently apply time-honoured legal doctrine and the principles articulated through the text of the Constitution. Otherwise, who knows where the next case will lead us. The next time, we may not like the result. See for example: British Columbia v Imperial Tobacco Canada Ltd,  2 SCR 473 at para 65, 2005 SCC 49; British Columbia (Attorney General) v Christie,  1 SCR 873 at para 24, 2007 SCC 21; Reference Re Secession of Quebec,  2 SCR 217 at para 53, 161 DLR (4th) 385; Reference Re Remuneration of Judges of the Prov Court of PEI,  3 SCR 3 at paras 93 and 104, 150 DLR (4th) 577. Reference Re Secession of Quebec, supra note 1 at para 53. Constitution Act, 1982, being Schedule B to the Canada Act 1982 (UK), 1982, c 11, s 52 [Constitution Act, 1982]. The Queen v The Secretary of State for Foreign and Commonwealth Affairs,  2 WLR 641 at pp 913 and 925-926 [The Queen v The Secretary of State]; Attorney-General for the Province of Ontario v Attorney General for the Dominion of Canada,  AC 571 at p 581 [AG Ontario v AG Canada]; In Re The Immigration Act and Munshi Singh, 1914 CarswellBC 255 at paras 2, 39, 103 and 125-126, 20 BCR 243 [In Re The Immigration Act]; Gitxaala Nation v Canada, 2015 FCA 73 at para 16 [Gitxaala Nation]; Canada (National Revenue) v McNally, 2015 FCA 248 at para 5 [McNally]. 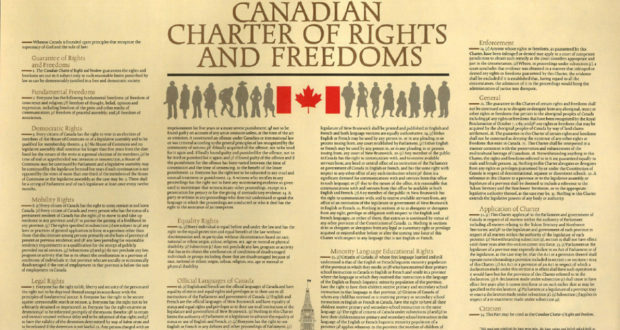 Canadian Charter of Rights and Freedoms, Part I of the Constitution Act, 1982, being Schedule B to the Canada Act 1982 (UK), 1982, c 11, s 15(1) [Charter]. Egan v Canada,  2 SCR 513, 1995 CanLII 98 (SCC). Vriend v Alberta,  1 SCR 493 at p 546, 1998 CanLII 816 (SCC), Cory and Iacobucci JJ [Vriend]. Constitution Act, 1982, supra note 3 at s 52. Charter, supra note 5 at s 24. Edwards v AG of Canada,  AC 124, 1 DLR 98 (UKPC). Vriend, supra note 7 at p 570. Ibid at pp 567-568; Schachter v Canada,  2 SCR 679, 1992 CanLII 74 (SCC) [Schachter]. Vriend v Alberta  1 SCR 493 at p 586, 1998 CanLII 816 (SCC), Major J (in dissent) [Vriend (in dissent)]. This was the approach taken by the Supreme Court in M v H,  2 SCR 3, 1999 CanLII 686 (SCC). Schachter, supra note 13 at pp 701-702. Gitxaala Nation, supra note 4 at para 16; McNally, supra note 4 at para 5. The Queen v The Secretary of State, supra note 4 at p 913, Denning MR.
 Ibid at p 926, Kerr LJ. Vriend, supra note 7 at p 569. Stephanie Levitz, “How do Harper’s throne speech promises check out, a year to the election?” (October 19, 2014), online: http://www.ctvnews.ca/politics/how-do-harper-s-throne-speech-promises-check-out-a-year-to-the-election-1.2060606; New Democrat Official Opposition, “BC Liberal Throne Speeches: A History of Broken Promises” (August 25, 2009), online: http://bcndpcaucus.ca/news/b-c-liberal-throne-speeches-a-history-of-broken-promises/. Jeremy Waldron, Law and Disagreement (New York: Oxford University Press, 1999) at p 66. Vriend (in dissent), supra note 15 at p 587; Charter, supra note 5, s 33. Vriend, supra note 7 at p 568. Petter, “Immaculate Deception”, supra note 17 at p 857. Constitution Act, 1982, supra note 3, s 52. 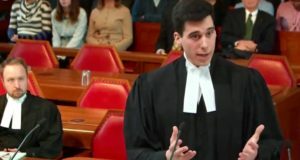 Canadian Constitution Foundation, “Reflections on the Decline of Legal Doctrine” (January 8, 2016), online: https://www.youtube.com/watch?v=UxTqMw5v6rg at 19:53.